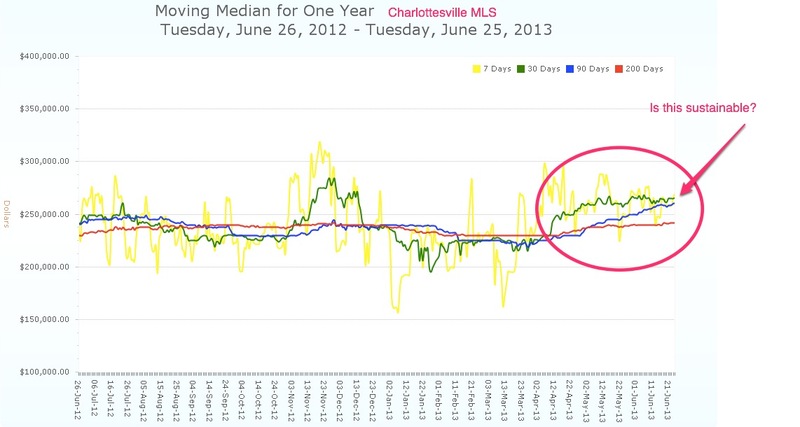 Home prices seem to be rising in the Charlottesville MLS – keep in mind with this chart that it’s for the entire Charlottesville MLS. Interest rates are rising, but let’s keep some perspective. Here’s the thing – if you’re buying a home and you are confident you’ll be there for at least five to seven years (many of my clients now are looking at 15-20 year timelines), be aware of the potential for price drops, but also focus on what your total cost of ownership will be versus renting. “The price increases are misaligning with other economic fundamentals,” Yun said.